This kind of attentive care may one day get your kid out of a very tough spot. Many older 20somethings today wish their parents had talked to them pointedly during college about their grades, credit card debt, and student loan debt. I hope that when the two of you log in together, you’ll see a long record of excellent, responsible choices. But if you don’t, you’ll be able to help your child think through what resources and options might help. Well, then you’ll be able to think through whether you want to continue to bleed money for a college student who doesn’t want to do his part. If your child is actually failing college or thinking of dropping out because of poor college grades, be sure to read the kind, helpful post I wrote on that subject here. I know that we want the college students we love to be responsible and take care of their own affairs. Some of them will. But for some, maturity develops more slowly. For these students, a little kind parental noticing can save years of financial and career pain on down the road. 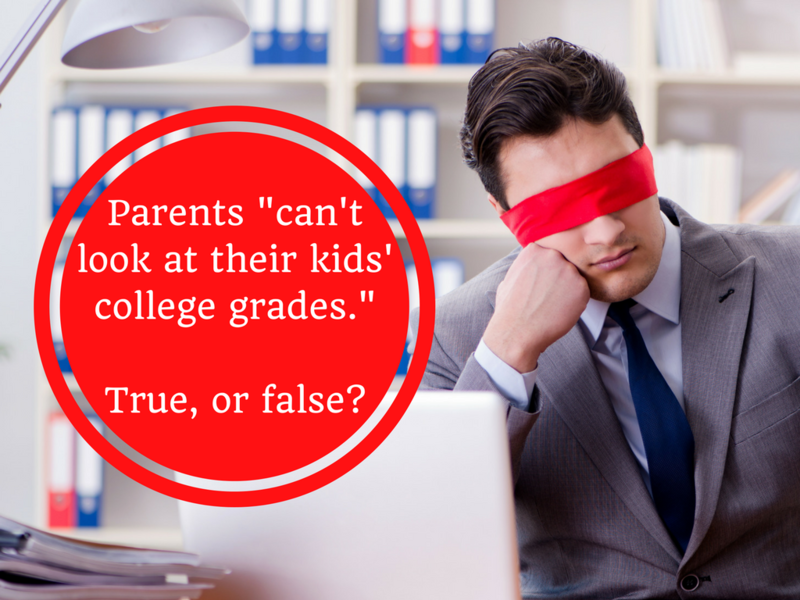 Is it true that #parents can’t look at their kids’ #college #grades? What every #parent needs to know. 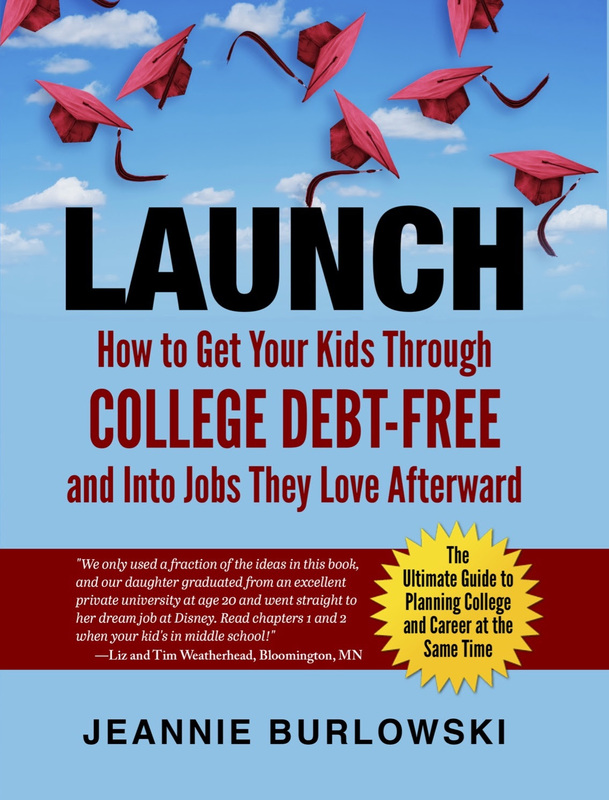 Remember, getting good grades in college is only a small part of the picture when it comes to getting your kid through college debt-free and into great jobs after graduation. Do you have friends who are parenting kids ages 18 – 26? SHARE this post on Facebook, Twitter, and LinkedIn right now. What about you? What strategies have you found for kindly supporting college students who are struggling academically? Comment below or LIKE Jeannie Burlowski Author on Facebook, find this post on that page, and let’s talk about it there.